Traditionally, power sectors across the Asia region were monopolies which were generally state-owned. During the last decade this situation has changed significantly, and power sectors are being restructured and reformed in order to create competition, attract private investment, and improve operational efficiency. Sri Lanka is no exception, where they have identified a need to develop a policy package in keeping with the current trends. Cost of electricity is a key element in attracting foreign investment into the country for its economic development. Further, electricity has a direct bearing on the competitiveness of local industry in international markets. Therefore, the power prices should be comparable and have a competitive edge in relation to prices elsewhere in the region including South Asia and South East Asia. The Ceylon Electricity Board use SYSIM from PWSC for simulating and optimising operation of the integrated Sri Lankan hydro-thermal power generation and irrigation supply system to help achieve this goal. With a power generation installed capacity of some 79 GW, larger than the UK, Brazil is one of the largest electricity markets in the world. It is by far the largest in South America, with the Brazilian total primary energy consumption being twice as large as the aggregated figures for Argentina, Bolivia, Chile, Paraguay and Uruguay. There are approximately 50 million customers and total consumption has increased from 70 to 300 TWh in the last 20 years. Currently, some 95% of the Brazilian households have access to electricity. 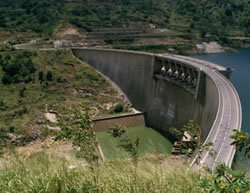 During 2001 Brazil experienced a major electricity supply crisis triggered by a severe drought. The hydroelectric power plants that had generated 90% of Brazil’s electricity supply were left with dry reservoirs. However, the Government’s rationing programme successfully minimised the social and economic impact of the crisis. Since then, rainy seasons have been plentiful and the reservoirs returned to comfortable levels. The new Government inaugurated in January 2003 is proceeding with the re-evaluation of the power sector policies initiated by the last administration after the 2001 crisis. The target is to solve regulatory bottlenecks, and overcome investment problems in the sector. As part of all this, PWSC's has been working in association with PriceWaterhouseCoopers to develop simulation and optimisation models of the countries combined power & water systems to support development of future policy and practice. The River Dee is a 70 mile (110 km) long river, which rises in the hills above Llanuwchilyn in Merioneth (Gwynedd) Wales, then passes through Bala Lake, over the man-made Horseshoe Falls and through Llangollen. East of Llangollen, Thomas Telford's Pontcysyllte Aqueduct, of 1805, carries the Shropshire Union Canal 120 feet overhead. At Farndon the river crosses into England and then passes through Chester. Below Chester, the river flows along an artificial channel, excavated when Sealand and Shotton were reclaimed from the estuary. This 'canalised' section runs in a straight line for five miles and passes beneath two road bridges at Queensferry. The first is a modern fixed cable-stayed bridge, the second, the Queen Victoria Jubilee Bridge, is of the rolling bascule type. A mile further on is the Hawarden railway bridge, originally constructed as a swing bridge but now never opened, carries the Chester - Wrexham line over the river. The name derives from the Celtic name for the river (Afon Dyfrdwy). United Utilities and the Environment Agency use MOSPA from PWSC for simulating operation of the River Dee system. 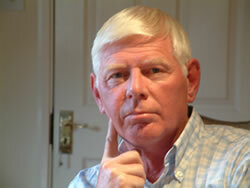 Member of the British Hydrological Society and Main Committee Member (1993-95). Program CAPRICORN : Design and development of a Mixed Integer Linear Programming based methodology for simultaneously optimising the commissioning of candidate hydro, thermal and wind generation plant, transmission lines, imports and exports, subject to project interdependencies, annual operating, investment cost, emission and fuel limits. Minimisation of total investment and operating costs, including demand area dependent supply benefits and shortage penalties. 2013-14	Electricity Masterplan Ethiopia: Evaluation of alternative long-term plans to expand the Ethiopian electricity generation system until 2037 using Program EPSIM. Development of methodology for varying hydro plant capabilities as a function of demand/system configuration 'years', and taking explicit account of seasonal wind, biomass and solar plant availabilities. Training of EEPCO staff in the use of Program EPSIM. [In association with Parsons Brinckerhof]. Electricity Masterplan Ethiopia: Construction of AQUARIUS models of existing and potential electricity generation systems, and estimation of hydro plant capacity and energy availabilities as a function of hydrological condition, for input to expansion planning procedures. Training of EEPCO staff in the application and usage of Program AQUARIUS. [In association with Parsons Brinckerhoff]. Development of a generalised simulation program (SYSIM) for modelling the operation of hydro-thermal power generation systems. Hydrological studies to determine representative flow sequences at existing and potential hydropower sites, and estimation of design droughts, floods and sediment. Development of computer program to model the Uruguayan hydro-thermal generation system and optimal forms of operation, including hydraulic interaction, load dispatch optimisation, system operating policies, supply reliability in terms of penalty functions and consumer restrictions, pumped storage plants, bi-national operation of 'run-of-river' plant and the import and export of electrical energy. Establishment of thermal power plant catalogue including gas turbine, combined cycle, conventional steam (oil and coal) and nuclear plant, including technical and cost parameters. Identification, preliminary design and cost estimation of potential hydropower developments, including low head (bulb turbine) and pumped storage schemes. Establishment, evaluation and comparison of alternative equipment plans featuring thermal and hydroelectric plants and interconnection with neighbouring countries. Economic appraisal and sensitivity analysis with respect to discount rates, demand forecasts, fuel prices, penalty costs for shortfalls in supply and unit prices for the import and export of electrical energy. Recommendations regarding optimum equipment schedules, alternative fuels, supply reliability criteria and the exploitation of non-conventional energy resources. Design and establishment of hydrological data bank at the national level on mini-computer system. Adjustment and extension of historic streamflow and rainfall records; statistical studies of relationships between physical and hydro-meteorological parameters. Estimation of the national hydroelectric potential, and creation of a river system and morphological data bank. Evaluation of existing and potential hydropower projects. Evaluation of theoretical and technical national hydropower potential. Design and establishment of computer based hydrological data bank. Development and application of computer programs for hydrological analyses, including extension of historic streamflow sequences, estimation of design floods and analysis of low flow sequences. Development of a methodology for the rapid estimation of energy production associated with hydroelectric projects. Derivation of ranking indices for comparing hydro and thermal power projects. Formulation and analysis of energy policy at national, EEC and international level, with emphasis on industrial use and North Sea oil production. Development of computer programs for the simulation and optimisation of water resource systems using mathematical programming and operations research techniques. Brazil, Cameroon, Cyprus, Ethiopia, France, Germany, Greece, Guatemala (1974-76), Italy, Nicaragua, Peru (1976-79), Philippines, Sri Lanka, Switzerland, Tanzania, Turkey, Uruguay (1979-80), USA, Venezuela, Vietnam. Programming in FORTRAN and MS Visual Basic. IBM and CDC mainframes; Hewlett Packard, Data General and CADMUS (Unix) mini-computer systems; IBM PC compatibles, IBM RS/6000 AIX (UNIX). Spreadsheet, Graphics, Word Processing and Database (MS OFFICE, DBASE, Visual Objects, VB/ACCESS) Packages. "Some Conjunctive Desalination Studies in the UK". Water Resources Bulletin, September 1971. Co-author. "Streamflow Regulation by Artificial Recharge Fed from Upstream Surface Storage : Derivation of Control Rules". IASH Symposium, Warsaw, Poland, 1971. Principal author. "Pumping Policies in Water Supply". IFAC Symposium, 1973. Co-author. "Planning and Operational Studies in the Integrated Use of Desalination : Case Studies for Cyprus and Jersey". Published in 'Desalination', 1974. Co-author. "Primera Estimacion de la Energia y Potencia de Proyectos Hidro-electricos Individuales e Interconectados". Seminario Interamericano de Hidroelectricidad, Venezuela, 1977. "Bancos de Datos - Su Rol en Estudios Tipo Plan Maestro". Simposio Planes Maestros de Electrificacion, Lima, Peru, 1978. "Assessing Hydropower Potential in Developing Countries". IWRA Third World Congress, Mexico City, 1979 and published in 'Water International', September 1979. Principal author. "Reservoir Storage Use for Hydropower Production Considering Costs of Back-up Capacity and Supply Restrictions". Symposium on Surface Water Impoundments, Minneapolis, USA, 1980. Principal author. "Electricity Generation Planning for Uruguay". 'Water Power & Dam Construction', June 1986. "Use of a Dynamic Programming Technique for Optimising Operation of a Regional Water Resource System". 'AQUA - The Journal of the International Water Supply Association', No. 5, 1987. Co-author. "Medium-Term Operating Policies for Hydro-Thermal Systems". 'Modern Power Systems', January 1988. Principal author. "System Simulation and Optimisation - Useless, Useful or Essential ?" Presented at the Sixth IWRA World Water Congress on Water Resources Ottawa, Canada, May-June 1988. Principal author. "Operational Aspects and Generation Expansion Planning of Hydro-Thermal Systems". Presented at the Third Regional GTZ Symposium on Long-Term Power System Planning, Colombo, Sri Lanka, 19-24 September 1988. "Derivation and Application of Medium-Term Operating Policies for the Northern Command Zone System of North West Water (UK)". Presented at the IAHS Baltimore Symposium, May 1989. Co-author. "The Development and Use of Medium-Term Policies for Operation of a Major Regional Water Resource System". Presented at the Second BHS National Hydrology Symposium, Sheffield, 4-6 September 1989. Co-author. "Computer Software for Optimising the Releases from Multiple Reservoirs Operated for Flow Regulation". Presented at the British Dam Society Conference on Water Resources and Reservoir Engineering, Stirling, 24-27 June 1992. Principal author. "Drought Management Measures and their Incorporation within Water Resource System Operating Policies". Presented at the Fourth BHS National Hydrology Symposium, Cardiff, 13-16 September 1993. Principal author. "An Integrated System for the Modelling and Management of Water Supply Systems". Proceedings of the Second European Conference on Advances in Water Resources Technology and Management. Tsakiris & Santos (eds) 1994 Balkema. Principal author. "Evaluating the Impact of Drought Management Measures within Complex Water Resource Systems". Proceedings of the Second European Conference on Advances in Water Resources Technology and Management. Tsakiris & Santos (eds) 1994 Balkema. Principal author. "Modelling the Possible Re-Deployment of Lake Vyrnwy". Analytical Techniques for the Development and Operations Planning of Water Resource and Supply Systems. Proceedings of BHS National Meeting, November 1994 and published as BHS Occasional Paper No. 4. Principal author. "An Integrated Approach to Modelling Water Resource and Supply Systems". Analytical Techniques for the Development and Operations Planning of Water Resource and Supply Systems. Proceedings of BHS National Meeting, November 1994 and published as BHS Occasional Paper No. 4. Principal author. "An Integrated Simulation and Dynamic Programming Approach for Evaluating the Performance of Complex Water Resource Systems and Optimising Operating Policies : Methodology and Applications" Paper presented at IAHR International Workshop on "Drinking Water Systems Characterised by Different Sources : Design, Management and Monitoring of Quality of Supplied Waters". Turin, Italy, September 1996. Author. "Simulating and Optimising the Operation of Integrated Water Resource and Electricity Supply Systems in Africa" Paper presented at AFRICA 2013 conference on 'Water Storage and Hydropower Development for Africa', Addis Ababa, Ethiopia, April 2013. Principal Author. "Planning Development of Ethiopia's Hydropower Resources" Paper presented at HYDRO 2015 conference on 'Advancing Policy and Practice', Bordeaux, France, October 2015. Principal Author.